Well todays topic could not have come at a better time. As you know, this podcast is yours. It is yours to ask me as many questions as you wish so that you feel you are getting value and transformation from what we discuss here. "I am writing this email as I have been suffering with anxiety for years. I am a positive person in general and I do enjoy my life. I have a wonderful job, an incredibly supportive husband, a beautiful daughter and insanely amazing friends, I really am very lucky however I still get extreme anxiety that knock me to the floor. When my anxiety hits, I become so down, I don’t want to talk to anyone, I can’t move, I can’t leave my house, I get very tearful and I feel like I am constantly in a momentum of taking 2 steps forward and 10 steps back with it. It is so draining…. is there anything that you can recommend doing to help me maintain/ control or just stop my anxiety? Thank you so much for what you are doing sinead, I really cannot wait to hear what you have to say about this.... "
Wow! What a question. I love this, it is very relatable to me because I too have experienced anxiety for years. Anxiety appears in so many different forms. Every single person will experience a form of anxiety at least once in their lifetime. It is another emotion. I get physical pains in my body when I get anxious – I get a pain in my left shoulder to the point that I cannot move it. I become angry, I too don’t want to talk to anyone, I become very tired and my mind races… again, anxiety is so different for everyone. But saying that too I wanted to answer your question with regards to setbacks. Firstly, I don’t believe there is a thing such as a setback. we cannot physically go back in time, right? So why would you think that you are constantly having setbacks in terms of emotions? Emotions, no matter what they are they are just messages. Think of it like this…. When you get a text message from someone what do you do? You read it, you then choose to respond, to acknowledge the message and then let it go OR you read it, ignore it and move on.. yes? Lets start to treat our emotions as a text message. Listen to what they have to say, acknowledge it and then let it go. However, like an actual text message, if you choose to ignore a person they might continue to text you until they get a response. Well your anxiety or emotions will do the same. The emotion will grow and fester until you acknowledge it…. Right, so what can we do to gain an understanding of what this emotion is trying to tell you? Before I continue, make sure you have a pen and paper at hand. Right, to gain clarity, to understand the message that our emotion is trying to tell us, we must talk to it and ask it a question like you would responding to a text message. Use this time to write down your thought process or your dialogue with your emotion. I actually named my anxiety 'Jack', so I simply talk to Jack like he is a person to understand what on earth he wants. Ok! I know that might sound funny, but it really helps me and that's what it is all about. Doing something that helps you as you go through difficult emotions. Question 1. Why am I feeling this way? What am I thinking about? Or if you do name your anxiety like me, I simply say "right Jack, what do you want?" Just remember: We usually have anxiety when we are thinking in future tense. When we think of events happening in the future. Question 2. What can I do now to help me reduce these feelings that I am having? One thing that I know for certain will help reduce anxious feelings is to connect to the present moment through your breath. Let’s try it now. whether you are sitting on the floor listening to this, or in a chair, close your eyes. Make sure your legs and arms are unfolded. Your hands placed on your knees or beside you and lets simply start focusing your thoughts on your breath. Breathing in through your nose and out through your nose. With every exhaled breath, I would like you to start counting down from 10. How do you feel now? That took what, 2 minutes to do?! When you connect to the present moment, you have no time to think in the future therefore you start to reduce future-based emotions, such as anxiety. Now, I know that there have been times when my anxiety is at its peak and trying to meditate or connect to my breath can really irritate me as my own energy is always in a rush when I am feeling anxious. So, if you feel like its hard to connect to your breath, then try popping a hand on your belly so you can feel your breath rise and fall. Perhaps you can do this whilst pacing your room our outside as you pop your feet in the grass…. Do this listening to a song and exhale with every beat – now depending on the song this can be fast but it just about you connecting to your breath. Another way you can do it is called ‘box breathing’ a box has four corners. You can repeat this as many times as you need to. It calms your mind, slows your breath and connects you to your body. Listening to music – perhaps you can make a playlist of all your happy songs that uplift your energy. I created one call BOOM!! which has random music to help me pump my energy and connect back to me. Feel free to follow this on Spotify if you want. 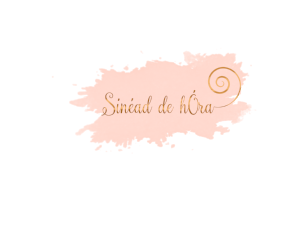 Its under my name sinead.dehora. Even try journaling and just express how you are feeling. I know how hard it is to verbally explain how you are feeling to people who might not ‘get it’ or who can’t relate, so keeping a journal is such a great way to detox your emotions and release your pent-up feelings. It can be absolutely anything as long as it is something that you can do at that moment to reduce the feelings that you are having. Question 3. The solution…. Like I said, anxiety is usually an emotion that stems from thinking about the future. So what action plan can you put in place to help you on the journey? So, the bedroom…. Put clothes in vacuum pack bags. get bubble wrap for picture frames etc…. The more you break it down, the easier it is. Bullet point the list and tick it off as you go. It takes the overwhelm feeling away. So, back to the original question. There is no such things as a setback. When we focus on what we can do, such as listening and acknowledging how we are feeling, we WILL grow and learn from it. Read the message from your emotion, send a response, take action and connect to the present moment. Anxiety is just an emotion. It is not who you are. Lets now talk to our anxiety and repeat the following repeatedly. You will overcome how you are feeling. You are not your emotions. What you focus on, you create. The more you focus on your anxiety the stronger it gets. Let’s focus on transforming your anxiety into something useful and productive.